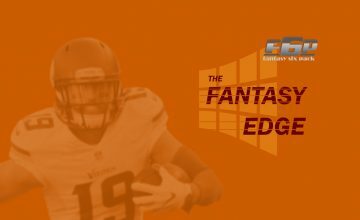 Hello Fantasy Football Fans and Welcome Back to the Fantasy Six Pack Position Previews! In this position preview, we will take a look at the wide receiver position. Catch This! It was a difficult season to project consistently at the position. Teams are continuing to spread the ball more and using multiple receiver sets. Last season, only 13 wide receivers had 1,000 yards or more. There were 23 in 2016. Only two receivers had double-digit touchdowns! These stats even lend more credence to the “Zero-WR” philosophy NOT the “Zero-RB” that once created a huge buzz in fantasy circles. The “Zero WR” mindset is that it takes advantage of the running back values that fall past their ADP and aims to find quality, upside receivers in the later rounds. Receivers put up higher and more consistent fantasy point totals than the top running backs with similar ADP. In regards to PPR formats, fantasy owners would need to jump on running backs involved in the passing game. Of course, you cannot be unyielding and you must capitalize on what falls to you. Which receivers that changed teams will make the biggest impact? Which receiver returning from injury last season will shine in 2018? Who are the 3rd-year receivers who will break out this season? Who are the rookie receivers to draft and when should you draft them? Find out the answers to those questions and a whole lot more in the 2018 Fantasy Football Wide Receiver Preview. Which WR that changed teams will provide the biggest fantasy impact? Brandin Cooks came over from the New England Patriots in a trade and Cooks will be taking over Sammy Watkins spot in the Rams lineup. Cooks leaves the dynamic Patriots offense to the Rams, who led the league in scoring offense, 29.9 points per game clip. Cooks has surpassed 1,000 yards in each of the past three seasons. As in New England, there are too many weapons on this offense to make one wide receiver the focal point of the unit. Consider him a WR2 in deeper leagues and a definite FLEX option in all formats. Allen Hurns came over from the Jaguars where he has missed five-plus games in each of the past two seasons. He has a total of 961 yards and five touchdowns combined over that stretch. Hurns is the only current Dallas receiver with a 1,000-yard season and the ability to become a true number one option this season. He just needs to stay healthy. The former Raider is a big-bodied possession receiver with a knack for grabbing touchdowns. He has eight-plus in each of the past three seasons, but that was with Amari Cooper on the other side. Now Michael Crabtree is the No.1 receiver. Crabtree only had 618 yards last season, but still ranks in the top 20 for receiving yards over the past three seasons. The question is who is playing on the opposite side of Crabtree? Willie Snead? John Brown? Maybe even Dez Bryant? Should that scare opposing defenses? Probably not, but it should make fantasy owners hesitate when looking at selecting Michael Crabtree. Former Dolphin led the NFL last season with a career-high 112 receptions. He finished with season with 987 yards and nine touchdowns, which was also a career-high. Playing in a revamped Browns offense which includes new quarterback Tyrod Taylor, look for Jarvis Landry to dominate the middle of the field and in the slot. Landry is the perfect WR2 in a PPR format. He won’t do as well as last season, but he will catch roughly 80 balls, 800-900 yards and seven to nine touchdowns. Which WR will win 2018 NFL Comeback Player of the year? Robinson, only a year removed from a season in which he led the NFL with 14 receiving touchdowns, had a torn ACL in his left knee forcing him to miss all but one game last season. The Chicago Bears had a downright awful passing game last season. The unit ranked last in pass attempts and yards and ranked 31st in touchdowns scored. Rookie Mitchell Trubisky played in 12 games last season and received no support from his receivers. Here comes the most coveted free agent wide receiver in Allen Robinson. Robinson is still recovering from an ACL injury that cost him nearly the entire 2017 season. So there is risk with Robinson, but at still only 24 years old, he remains a top 20 receiver or better should he stay healthy. 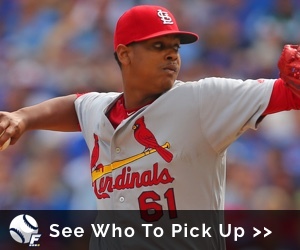 Remember that Robinson was dominating in 2015 with an 80/1400/14 season. Who will be the 3rd year WR that will break out in 2018? It is now or never for the former first-rounder Josh Doctson. He missed almost all of his rookie season after suffering an Achilles injury that lingered throughout the year. During his second season, Doctson was able to stay healthy and appeared in 16 games. He recorded 35 catches for 502 yards and six touchdowns. Doctson showed flashes of potential, but plagued by untimely drops at various points during the season. He should be able to latch on as the team’s No.1 receiver as he tries to develop chemistry with the newly acquired QB Alex Smith. 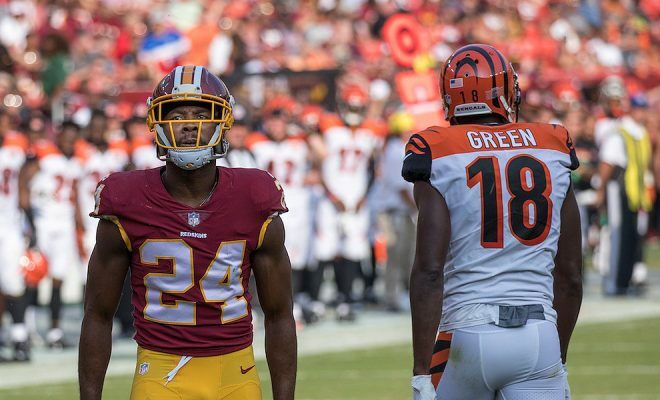 Smith, known for being a pinpoint accurate quarterback, will try to help Doctson take the next step in his development. Look for Doctson to make a significant fantasy impact in 2018. Remember him? Malcolm Mitchell has been sidelined for over a year now with a knee injury. If he can stay healthy, Mitchell can become one of Tom Brady‘s most trusted weapons in the passing game, especially in big games, like he showed during Super Bowl 51, finishing with seven receptions for 70 yards. He exhibited flashes in his rookie season when he caught 32 passes for 401 and four touchdowns. Entering the 2018 season, he will have plenty of opportunities to contribute after the Patriots traded away their top receiver last season in Brandin Cooks. The team also lost the underrated slot receiver Danny Amendola to free agency. In addition, Julian Edelman will serve a four game suspension for PEDs. IF Malcolm Mitchell is healthy, he could be a starter. We will have to keep a close eye on his health status through training camp. If he can get out on the field, I see a breakout season for Malcolm Mitchell. Sterling Shepard is coming into his third NFL season after being the Giants’ number one wide-receiver option after Odell Beckham‘s Week 4 ankle fracture. In 11 games last season, Shepard recorded 59 catches, 731 yards, and two touchdowns. The 731 receiving yards were a career-high and he also set a career high in receptions on a per-game basis (5.36). This season expects for his numbers to increase, as he is fully healthy and should play in all 16 games this season. 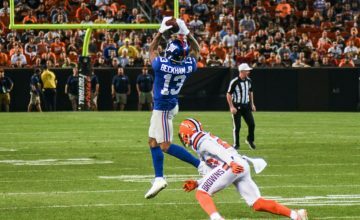 Additionally, Beckham is returning and they have added running back Saquon Barkley to go along with second-year tight end Evan Engram to form a formidable offense. With a rebuilt offensive line, Manning will have more time to pick up apart offenses which will provide Shepard with a breakout season in 2018 and a sneaky pick in your drafts. Which rookie will make a Smith-Schuster-type impact this season? The Dallas Cowboys’ receiving corps experienced a major overhaul this offseason. Gone are veterans in WR Dez Bryant and future Hall-of-Famer Jason Witten, the two most targeted players on the roster. The two remaining receivers are Terrance Williams and Cole Beasley, who are both coming off mediocre performances. Michael Gallup at 6-foot-1, 205 lbs. offers an impressive size/speed combo. He does have the speed to burst past the second level, as seen in his 40-yard dash time where he nearly delivered a sub-4.5. He posted a ridiculous 176 catches for 2,685 yards and 21 touchdowns in 26 games for the Colorado State Rams. Gallup really shined with his massive Famous Idaho Potato Bowl performance His stats on that day were six catches 108 yards and three touchdowns. Dak Prescott needs a Red Zone weapon beside Ezekiel Elliot. All that stands is in his way are Allen Hurns, Tavon Austin, Terrance Williams and Deonte Thompson. Enough said. Look for Gallup to step into the X role and for him to blossom into someone that Fantasy owners will want to draft late and watch him make you look smart to the other owners in your league. The Carolina Panthers desperately need a target outside of Greg Olsen to develop their passing attack. Moore, a 5-foot-11, 215-pounder, really displayed his quickness at the NFL Combine in Indianapolis in February. He clocked a 4.42 in the 40-yard dash. His time was the fifth fastest among the receivers at the combine. He also put up impressive stats in his final season at Maryland despite a carousel of quarterbacks. In three seasons at the Universty of Maryland, Moore hauled in 146 catches for 2,207 yards and 17 touchdowns. Moore was one of the top wide receivers in college football. He was first-team All-Big Ten and the Richter-Howard Big Ten Receiver of the Year. He led the conference with a single-season school record of 80 receptions and 1,033 receiving yards. Drafting D.J. Moore and trading for Torrey Smith is the first time in quite a while that the Panthers have legitimate deep targets. We expect the Maryland product to open the season as a starter opposite Devin Funchess. Former Panther and NFL analyst Steve Smith said it was the first time he felt the team had found a receiver capable of taking his spot as the top playmaker at Cam Newton’s disposal. Speaking of Newton, Moore has to rely on a quarterback coming off the two least efficient passing years of his career. Look for Moore to be the first rookie WR drafted as he should be. Calvin Ridley became widely considered the best receiver in the 2018 NFL Draft class. He was the second receiver taken in the draft; the Carolina Panthers took D.J. Moore with the 24th overall pick. At 6-foot-1, 189 pounds, Ridley joins a pass-happy Falcons offense with two clear targets. Julio Jones is one of the NFL’s best and Mohamed Sanu had his second consecutive solid season with the Falcons. What the Falcons needs is a third target for Matt Ryan. What Ridley lacks in athleticism, he makes up for his precise route running ability and ability to make plays after the catch. Both attributes are very good barometers of early success at the NFL level; where creating separation is the key to generating production. In three seasons at Alabama, Ridley amassed 224 catches for 2,781 yards and 19 touchdowns. Speaking of the Crimson Tide, Ridley is going to Atlanta where he will play under Steve Sarkisian, whom he played under while Sarkisian was Alabama’s offensive coordinator. The Falcons are excited to add another firepower weapon to their offense, which ranked 15th in scoring in 2017. Fantasy owners should feel excited to grab Ridley late in their drafts where they can utilize Ridley as their third WR and/or FLEX. The Pittsburgh Steelers traded wide receiver Martavis Bryant to the Oakland Raiders during the first round of the 2018 draft. The next day, the Steelers used the No. 60 overall selection to replace him with the 2017 Biletnikoff winner as the nation’s top wide receiver, James Washington. The Steelers hoped to hit on some of the second round magic that Ju-Ju Smith-Schuster gave last season. Washington became a unanimous All-American, leading the nation with 1.549 receiving yards and a per-game average of 119.2 yards. He also totaled a career-high 13 touchdowns. In 2016, he led all FBS receivers with a 19.44 average when he had 1,380 receiving yards and 10 touchdowns. 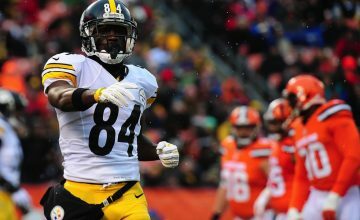 With Martavis Bryant now gone, Washington should fill the big-play role in the Steelers offense and will even compete to start opposite Antonio Brown. The attraction of fantasy football is that there are so many ways to become a winner. I have to admit I am old school and still, and will, probably always believe in the two-running back philosophy. I am the fantasy owner who would actually draft three running backs to start my draft; yes, I am that guy. This mindset served me well for years and when the “Zero-RB” draft strategy came into vogue, I zigged when everyone else zagged. You can read more about drafting running backs this season in Jonathan Chan’s 2018 Fantasy Football Running Back Position Preview: Takeover. The more I hear about the NFL being a passing league, the more I believe in the quantity AND quality of wide receiver selections later in the draft. The most productive WR1s are normally taken early in drafts because of their target percentages in the red zone and overall touchdown production. When taking a look at the options at wide receiver, I look at target volume. Each target is a chance for a big play which creates points and for PPR leagues, each reception counts for a point. This is a very good indicator of the coaching staff and most importantly, the quarterback’s trust. With plenty of value found in the later rounds for wide receivers, I will avoid using my top selections on a wide receiver in 2018. While some are surprised that Dez Bryant remains unemployed, I am definitely not. Bryant regressed. His own perception of his value is probably not consistent with the majority of NFL teams. The Cowboys parted ways with Bryant even though they don’t have a wealth of talent at the receiver position. They signed Allen Hurns – never a WR1. Hurns joins the likes of Cole Beasley, Terrance Williams, and new draftee Michael Gallup. The Cowboys have one of the weakest receiver groups in the league. His release was addition by subtraction for Dallas, given Bryant’s age and inability to create separation. The clear decline does not outweigh the risk with Bryant and his off-field incidents, diva-like behavior, and those infamous tantrums on the sideline. Bryant has not hit the 1,000-yard plateau since 2014. He turned down an offer from the Baltimore Ravens for three years about $21 million. Bryant declined the offer because he felt it’s not what he thinks he’s worth. I mentioned the above to summarize Bryant’s current status; especially since discovering that he is still being drafted as an average ADP of 46 for receivers. Yes, I know that he caught 69 balls with 838 yards and six touchdowns last season. Please don’t be fooled. That was with the Dak Prescott and the Cowboys forcing him the ball continuously. That will not happen on any other team. IF and when he gets signed, Bryant will be relegated to a third receiver and a possession type. Can Dez Bryant handle that? History shows that he can not! Pierre Garcon remains a PPR monster. His biggest fantasy issue is his inability to score touchdowns at a high rate. In eight games last season, before getting hurt, he had 40 catches for 500 yards from the likes of Brian Hoyer and C.J. Beathard. Garcon’s return to the passing game led by Jimmy Garoppolo is one more reason for great anticipation of success for San Francisco’s offense in 2018. Garcon’s best season came in 2013 when he caught 113 balls for 1,346 yards and five touchdowns. Kyle Shanahan called the plays that year in D.C. and now we will have a full season of Shanahan, Garoppolo, and Garcon working together. Pierre Garcon currently has an ADP of 37 among wide receivers. He will get WR1 targets with a low-end WR2/high-end WR3 cost in drafts. Smart fantasy owners cannot ignore that value. Will Fuller flashed his elite potential in the early going of last season. After missing first three games of the season, he scored in his first four games and had two touchdowns in three of them. In the fourth game, he also added 125 yards. Then his numbers crashed when Deshaun Watson tore his ACL in practice and Fuller missed three games due to cracked ribs. The last six games produced just 15 catches for 144 yards and zero touchdowns. If Watson and Fuller can remain healthy together, they can return to its 34.7 points per game average they had in Watson’s six starts. That scoring potential cannot be ignored, especially at the value of an ADP of 28 at WR. That lethal combination will help lead the Texans and fantasy owners to the playoffs.